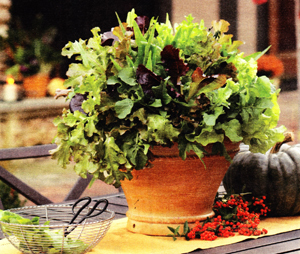 Here are our choice for the easiest veggies to grow in containers! Carrots - Rocky soil will yield ugly, crooked carrots that taste great. Beans - Pole Beans while easy to grow will need a trellis. Lettuce - Do successive sowings every two weeks to space them out. Cucumbers - Be sure to avoid potting until all danger of frost has ceased. Spinach - Pick it continuously once it's leaves are a good size. 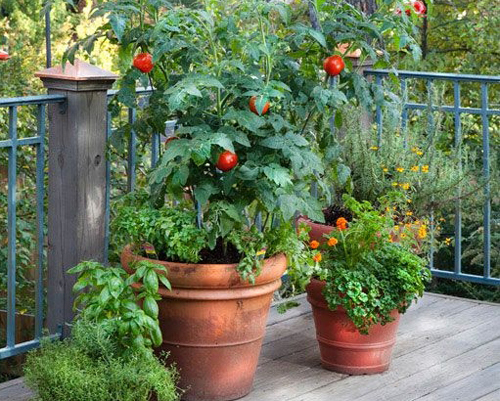 Tomatoes - Most people start with a starter plant from a local nursery. 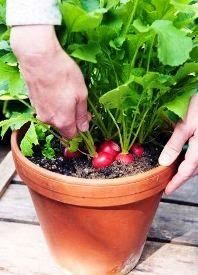 Radishes - Plant seeds directly into the container early spring. Peppers - Start with a plant from a local nursery for best results. Squash - Don't place the pot in the wind and try to have some protection. Basil - Sow seeds directly into garden pot in early June. Read more.....Dig in with garden bulbs! Read more.....25 Secrets every gardener should know.